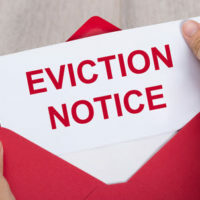 WHO CAN FILE AN EVICTION ACTION? Property Owner: The property owner may appear pro se (“for oneself”) and file an eviction case. However, if the owner is a corporation or other fictitious entity, it must be represented by legal counsel. This requirement applies to single-member LLCs as well. Additionally, if the owner uses a non-lawyer document-preparation service, the service may only type information provided by the owner, using forms approved by the Supreme Court of Florida. A non-lawyer may not make changes to the forms or give any legal advice. Landlord: If the landlord is not the deeded owner, but is named as the lessor in the lease, the landlord may sue for eviction in its own name. Section 83.43(3) of the Florida Statutes defines “landlord” as the owner or lessor of a dwelling unit. Just like the owner, however, the landlord must hire a lawyer if it’s a business entity and not a natural person. Property Manager: A property manager may only file an uncontested residential eviction for non-payment of rent, using forms approved by the Supreme Court of Florida. The manager must have written authorization from the landlord, and cannot file suit in its own name or seek a money judgment. Once the eviction becomes contested – meaning a hearing is required – the manager cannot take any further actions. Only an attorney is authorized to handle contested evictions on behalf of a landlord.